Two dimensional hummingbirds gracefully embrace a 5" alabaster glass shade. This rustic Hummingbird Pendant Light is adjustable and Made in the USA. Two dimensional hummingbirds gracefully embrace a 5" alabaster glass shade. 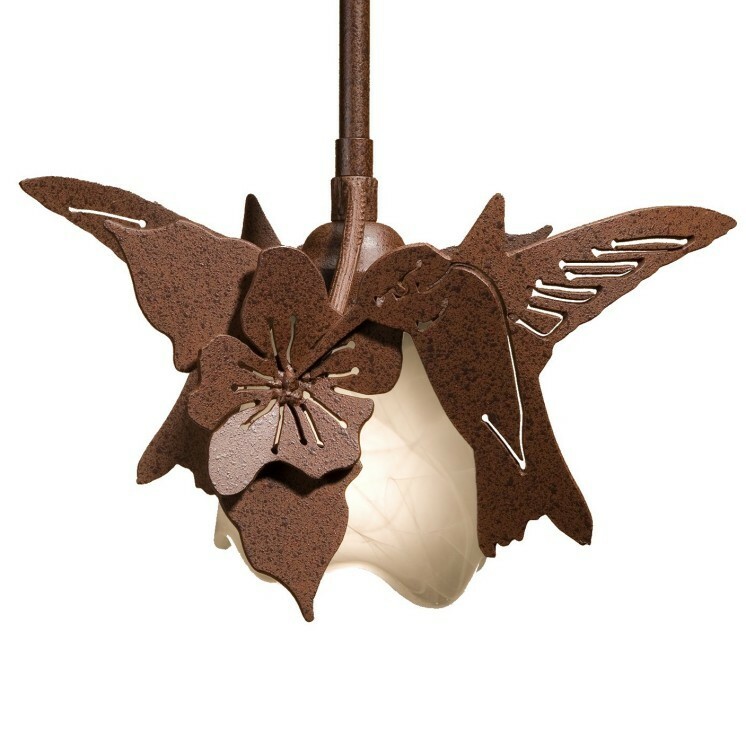 This rustic Hummingbird Pendant Light is adjustable from 8" to 38" in length.